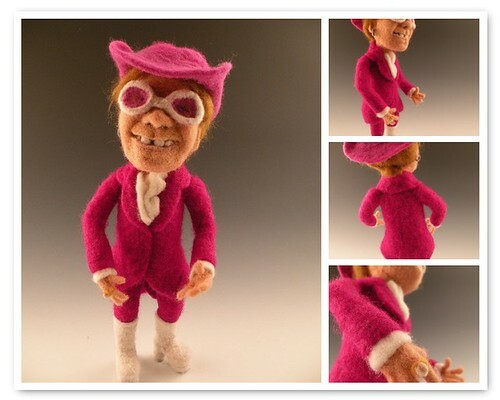 My Li'l Elton John was SO FUN to bring to life. Even his li'l glasses are made of wool - I didn't even have to use wire. My proudest accomplishment is the lenses - they are wool, they are felted and you can see his eyes through them. I just love his flashy, flamboyant li'l personality. Flamboyant is right... he's awesome and I love the glasses!